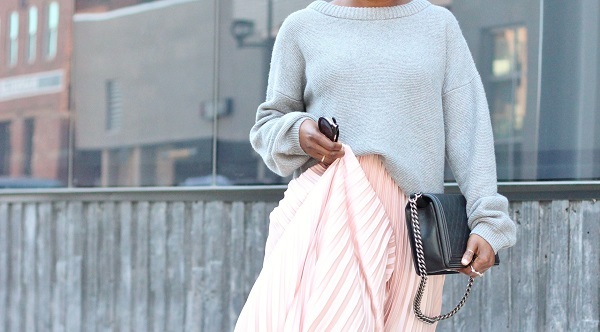 Starting the week off in these two soft colour palettes, light grey and pale pink. 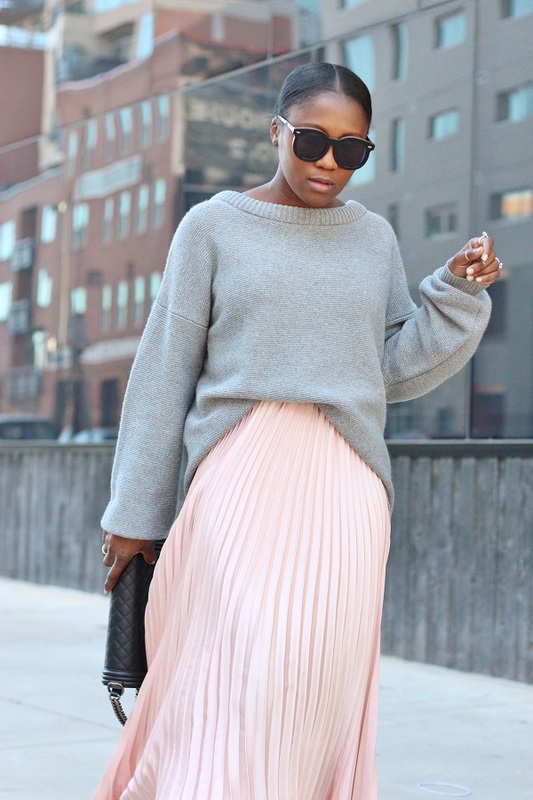 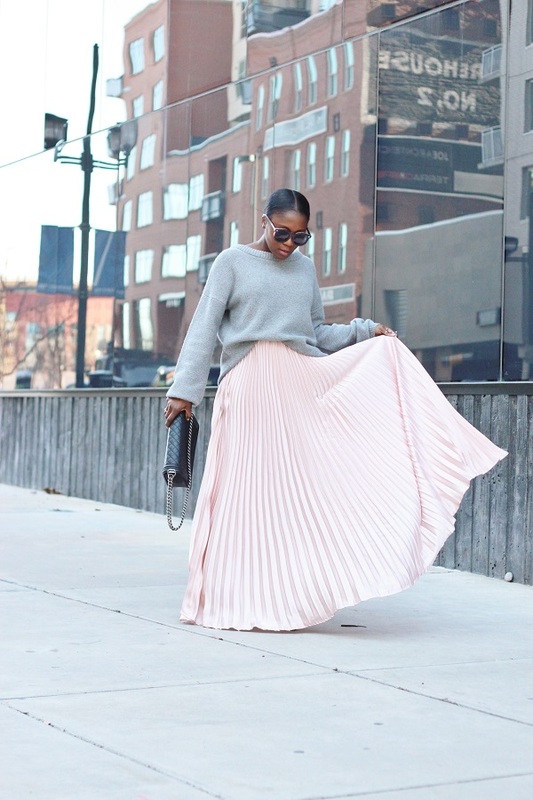 Wanted to focus on the softness of the pleated skirt so I paired it with this cashmere sweater. 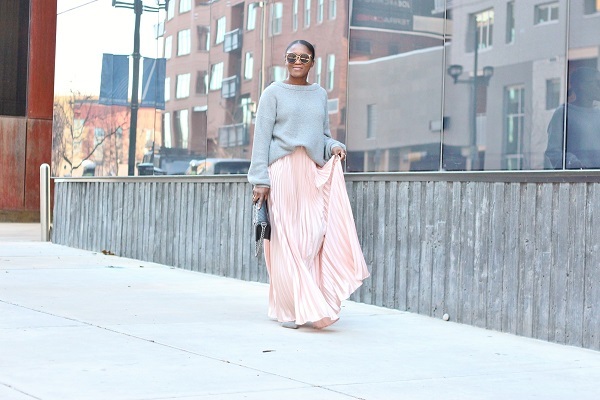 I opted for a size bigger, the over-sized look really added dimension to the look. 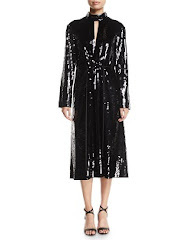 To add a bit of depth to the look, black accessories sealed the deal.